1. Factor in communication. While not often considered a big part of logistics and storage, communication is a crucial element of your relationship with your warehouse—and plays a big role in how your business functions. When you’re looking for a warehouse, you’re looking for a partnership that you can trust with your products and your customers. So in the process of choosing a warehouse, reach out and get to know the people at any warehouse you’re considering. This will allow you to ask any questions you might have, but also to gauge how well they communicate with you, and how well you could work together in the future. And along with this, look at each warehouse’s structure. Will you have a single point person or account representative to communicate with? Do your contacts seem knowledgeable and helpful? 2. Think ahead. Though you obviously need a warehouse that can accommodate your needs now, think also about the future of your business and the capacity and/or services you may need down the road. Are you thinking about expanding? Will you need to store more products in the future? Make sure the warehouse you choose can not only be a good partner now, but also can adapt and grow with you as needed. 3. Organization is key. While location and size are hugely important in your decision, a warehouse’s organization and system of operation plays a big part in its ability to run efficiently and effectively. When you’re searching for the right warehouse, ask questions about how it operates and how they keep organized. If you can, visit any warehouse you’re seriously considering to best understand how they’ll handle, store, and ship your products. 4. Consider location—from every angle. The location of a warehouse is one of the most obvious factors to consider—but it’s no simple decision. There are a lot of smaller considerations under the big umbrella of “location.” For example, you’ll want to think about a warehouse’s proximity to not only your customers, but also your suppliers. If you’re a bigger company that ships overseas (or a smaller company who may extend across borders in the future), choosing a warehouse in a coastal area could save you a lot on shipping costs, but could cost more in the short run. And for some companies, especially small businesses that promote local labor, the location of warehouses and other partners is tied to their company image, which is yet another factor to think about. 5. Price. Pricing is one of the most important factors when deciding on a warehouse, and though cost seems like the most straightforward factor, even it contains some nuance. Don’t take any warehouse’s pricing as truth, at least not until you’ve looked over the pricing structure and asked questions. What is included in their pricing, and what do they charge extra for? Are there “hidden” charges that could come in later, depending on your required storage and services? 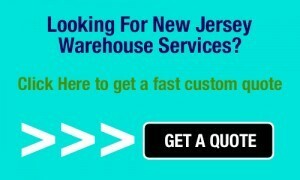 And what kind of service does each warehouse you’re considering offer for the price? 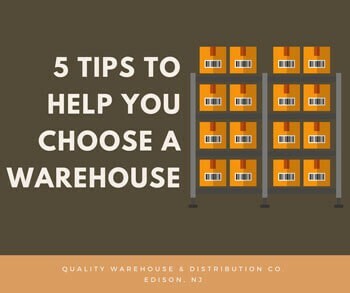 Clearly, choosing a warehouse is a big decision with many considerations. Take your time, and be sure to ask a lot of questions in the process.